When disaster strikes your home or business, call Rochester’s most-trusted disaster restoration and cleaning services company. 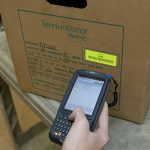 Since 1994, ServiceMaster by Disaster Associates, Inc. has faithfully serviced Rochester, NH and the surrounding communities with professionalism and speed. Our technicians are reputable for the urgency they demonstrate when responding to area emergencies. Each of our specialists has earned certification from the IICRC, ServiceMaster Clean Quality Assured program, and Indoor Quality Associations. We use advanced restoration techniques and state-of-the-art equipment to completely restore your property and its contents. Our history took shape when our current owners, Dan Noyes and Chris Carey, merged their individual restoration and cleaning businesses to form Rochester’s number one restoration company. We have successfully responded to several crises in the Rochester community, as well as participated in national restoration projects, such as 9/11. Our comprehensive restoration and cleaning services help you recover from a wide range of disasters, including water damage, fire and smoke damage, hoarding and mold growth. We offer free estimates with all our services and provide assistance in filing insurance claims. Water damage is a common occurrence in both homes and businesses. Hidden, minor issues can dramatically explode into serious emergencies. Before a faulty pipe bursts, a leaky roof turns uncontrollable, or defective appliances damage your home or business, call the professionals at ServiceMaster by Disaster Associates, Inc. Our service technicians repair your minor issue before it advances. If water damage has unexpectedly occurred due to flooding, our specialists will thoroughly dry the area with advanced water extraction machinery. Promptly contact our specialists as soon as you detect the slightest indication of water damage in your home or business in Rochester, NH to prevent further loss. Raging fires and even small bursts of flames are equal cause for alarm. Danger lurks where fires have swept through. Building structures are destroyed. Soot and smoke damage linger long after the fire is extinguished. At ServiceMaster by Disaster Associates, Inc., our experts are specially trained to restore your property and belongings after a fire with the use of advanced fire restoration technology. We also clean and restore the interiors of homes and businesses affected by smoke and water damage, as well as restore furniture, electronics, and even fine art. Clutter and hoarding sit at opposite poles. Occasional clutter can be easily handled with a quick, do-it-yourself cleaning. 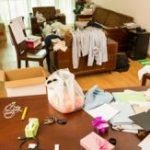 Hoarding, however, is a serious disorder that affects individuals who experience intense distress when anything is thrown away. The result is chaos in the midst of your home. Not only are important exits and entrances blocked by hoarded items, causing fire hazards, but mold and harmful bacteria grow in unclean spaces. ServiceMaster by Disaster Associates, Inc. works with individuals affected by hoarding in Rochester, NH to clean hoarded homes. Our technicians are experienced and trained to cooperate with affected individuals and their families to formulate and implement a plan of action to remove clutter and clean the home. Disasters not only affect the exterior of your home or business, but also the interior contents. When damage occurs due to fire or water, ServiceMaster by Disaster Associates, Inc. responds immediately to salvage the content within your property in Rochester, NH with our content cleaning and pack-out services. Damaged homes or businesses can be deemed unsafe to begin cleaning and restoration within the premises. 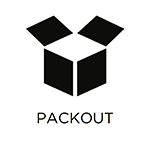 In these instances, our experts pack your damaged items to be delivered to our facility for thorough cleaning. Once your items are cleaned, restored and ready to be returned to your property, we deliver your belongings to your home or business. When visitors enter your residence or office space, carpeting lends a lasting first impression. All types of carpeting require regular cleaning and maintenance. A simple vacuum fails to reach the dirt and debris embedded deep within its fibers. Regular professional cleanings are the answer for effective maintenance. 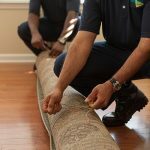 ServiceMaster by Disaster Associates, Inc. offers carpet cleaning services for businesses and homes in Rochester, NH with professional standards and state-of-the-art equipment. We use cleaning methods that penetrate deep into carpet fibers to lift out packed dirt and grime. The result is a clean and revitalized look, one that also extends the life of your carpet. It’s far more economical to invest in regular professional cleanings than it is to replace worn carpeting. Mold growth is a serious health hazard that causes respiratory difficulties and allergies. Mold is also structurally damaging to homes and businesses. ServiceMaster by Disaster Associates, Inc. recognizes the urgency mold growth brings which is why we provide mold remediation in Rochester, NH. Our service technicians respond quickly, taking swift action to contain and eliminate mold before spores scatter and further contaminate the residence or office space. 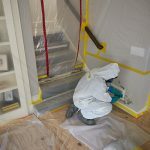 Our mold remediation experts not only identify, clean and destroy all mold growth, but also use advanced equipment to prevent mold from returning.